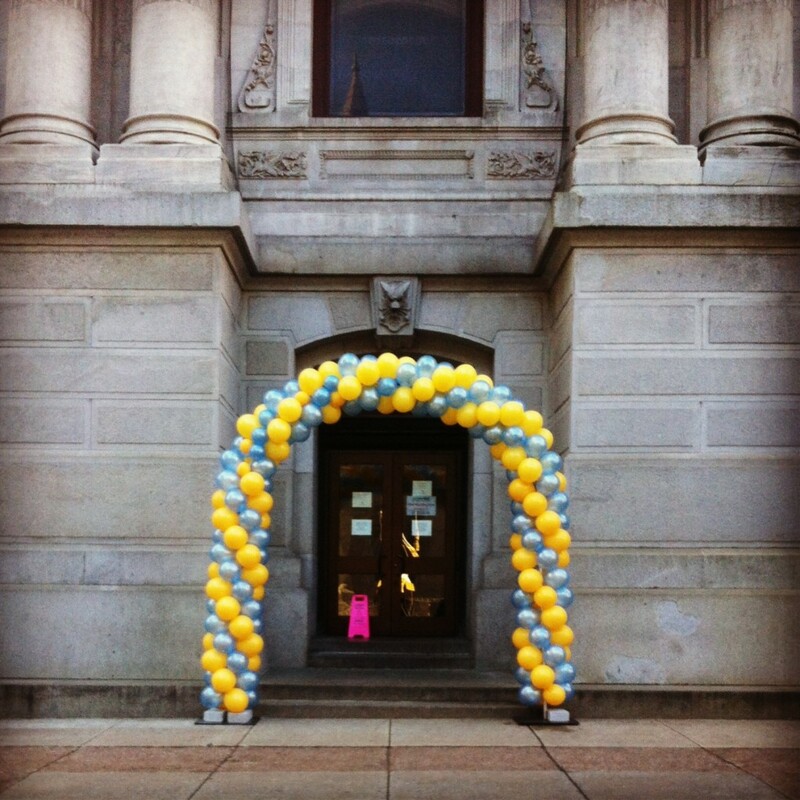 City Hall festooned, image by Dave Kyu. Something relevant has taken place during the 8th season of the recently premiered Peabody Award-winning PBS series Art21. Rather than organizing the artists by theme, which they have done for the last 7 seasons, they chose to organize them by city. As demonstrated here and in recent literature it may be safe to say that we have lost a centralized creative pulse responsible for setting dominant creative forms and trends. Yes, we are speaking of the colonizing western trajectory that we have only relatively recently begun to critique and recognize alternatives to but none the less has had truly significant force. The point being that we are now part of a global community with no ideological center. The Internet itself can be seen as a microcosm or model for an emerging social structure that functions more like a web as opposed to the traditional hierarchical model. This is particularly the case of distribution methods. Alongside this condition and partly because of it we are faced with the blunt and sobering realities of climate change, an awareness of the unthinkable suffering of those less fortunate, weak economies, rising political and social tensions, and the awareness that we are in some way aiding in the progression of these issues. On a subjective level this often results in a true and deep sense of dread. As individuals simultaneously connected with nearly all of humanity and the real life issues in our everyday reality, we seem to be adopting the “think globally, act locally” mindset and are discovering new ways of utilizing technology to organize community efforts and disseminate positive ideas at lightning speed throughout the globe. Some manifestations include strong support for local markets in place of industries that exploit labor and resources, an increasing awareness of the important role civic involvement and public planning have in shaping cultural values, the use of renewable resources and products, etc. This new condition could be driving many artists toward a more sober, conscious, and localized approach to art making. While Philadelphia was absent from its exclusively North and South American roster, it begs the question as to how the city of Philadelphia and its artists shape each other and what if anything is unique about its particular position. Although Philadelphia is going through a rapid gentrification process (which raises a whole set of issues not addressed in this writing), including skyrocketing real estate prices fueled by low interest rates and a migrating millennial population, it remains an affordable city. In Philadelphia, a person earning a moderate income can realistically afford to buy a home within a 15-minute commute via affordable public transportation to center city and still comfortably afford studio space. Due to its density, Philadelphia has more in common with European cities than other sprawling US cities built to accommodate automobiles–and its thus ideal for ridding yourself of one. Philadelphia is home to a significant number of colleges that could potentially foster critical and intellectual dialogue. There is still plenty of empty space and empty buildings to accommodate urban farming and other important new industries as well. In short, there is room and resources in Philadelphia to nurture ideas. This is more than can be said for many other U.S. city centers that have become a luxury afforded only by the wealthy or those willing to bury themselves in debt. While Philadelphia is home to established galleries, artist-run spaces, young collectives, and creative business enterprises I can’t help but wonder, why not more? Given what seems to be a logical alternative to other cities, why are not more creatives migrating to the city of brotherly love? There certainly are reasons. One possible hindrance is a mismanaged local government with a long history of questionable politics possibly resulting in economic decline. Philadelphia has a uniquely flawed tax structure that discourages many businesses and startups, thus potentially crippling economic growth. Since the 1970’s other major U.S. cities have seen growth in employment while Philadelphia’s employment rate has actually declined. Artists need jobs and stability like the rest of us. We don’t live in the idealized New York of the 60s, 70s, and 80s, where picking up odd jobs for a week could sustain your lifestyle for the rest of the month. Not only that, more and more artists’ working process involves an active engagement with the economic system and the social conditions arising from it. Another key component that seems to be noticeably missing in Philadelphia is a widespread art culture, including patrons. Historically Philadelphia has not been a city associated with culture, except of course its colonial past. It has been and still is very much a working class city. It is easy to see the evidence of this in the fact that it has significantly more row houses than any other U.S. city. Row houses were the answer to the problem of how to pack in as many factory workers in close proximity to their workplace using the most cost effective building methods. What resulted was a physical manifestation of the ideals of the industrial period. Coincidentally row houses can be retrofitted to accommodate the emerging necessity of energy efficiency. The fact is that the art community is small and lacks economic resources. But should this discourage young artists interested in making important work as well as strengthening and broadening the existing community? Or is this a sign that the work itself has so fully become an art market commodity that the desire to sell work has surpassed the desire for a meaningful practice? Despite all its problems and despite the efforts of artists, increasing concern about addressing pressing issues in Philadelphia could very well overcome its obsession with the past and become a city of the future. Seth Farnack is a business person who embarks on creative projects. He also spends time eating plants with his wife.